Reference guide for Spanish wines around the world. It has already held 28 editions, where more than 11,500 wines from all regions of Spain are tasted. Its goal is the promotion of Spanish wineries and wine under its claim: “wine is a living being that relies on many factors”. With more than 9,000 wines tasted and qualified, it celebrates its 26th edition, increasing the participation of wines from all around the world every year and placing itself as a reference in worldwide competitions in our industry. It is a Wine and Olive Oil guide with more than 5.000 subscriptiors. It has a professional target: oenology and viticulture training centers and professional associations of winemakers and sommeliers, among others. Wine Up Guide clasifies all our wines above 90 points among the more than 1.000 tasted. It is the only national guide which includes national and internation winery’s rewards. Once again all our wines are punctuated over 90 at the Intervinos wine guide. 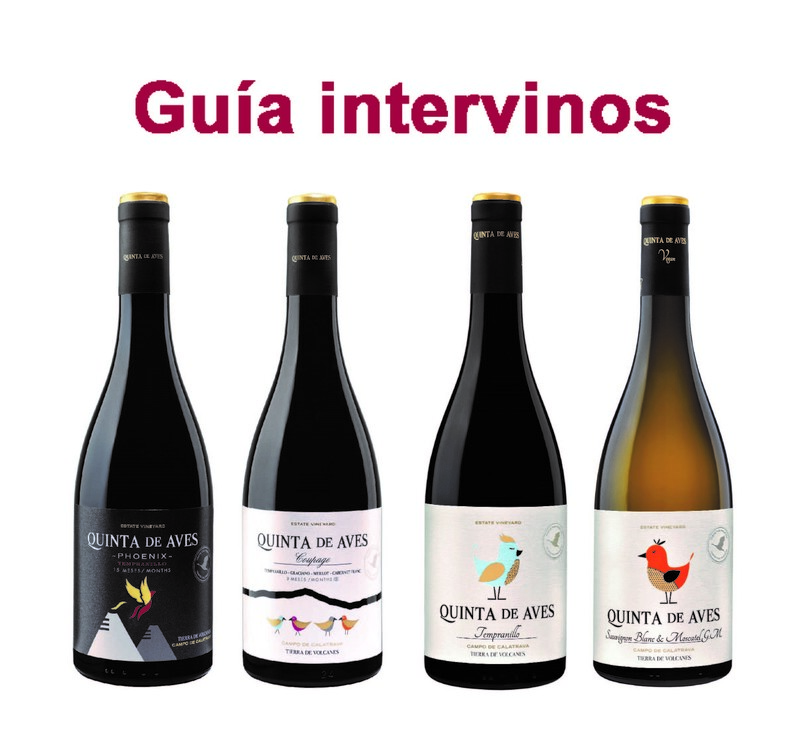 But this year we release Quinta de Aves PHOENIX and Quinta de Aves Coupage. Would you like to know the scores? Exclusively professional judges of the indsutry, who know what customers look for and that, day by day, receive specific feedback of what is likable and what sells. The greatest and most important international tasting of wines that takes place in Germany, sponsored by OIV and UIOE, attracts recognized products and merchants of the entire world every year. One of the biggest OIV international contests and the biggest in Asia, it takes place under the direction of OIV and UIOE. Since it was founded fifteen years ago, it is considered one of the most important wine competitions of the world, prooved by the more than 10.000 wines exposed each year. A contest that searches the excellence in the products from Castilla la Mancha aiming to assure the best product for consumers. It recognizes the best wines of the region by a blind taste. An international contest dedicated exclusively to single-variety wines. It looks for the special identification of varieties in order to show the richness of these to the world and give consumers the chance to recognize them. A worldwide contest specialized in the prestigious Tempranillo variety. It counts with the official recognition of the Spanish Ministry of Agriculture, Fishing, Food and the Environment. It takes place in different cities around the world. An International Wines and Spirits Contest where a team of sixty international wine-tasters taste wines from all around the world. Officially recognized by the Spanish Ministry of Agriculture, Fishing, Food and the Environment.